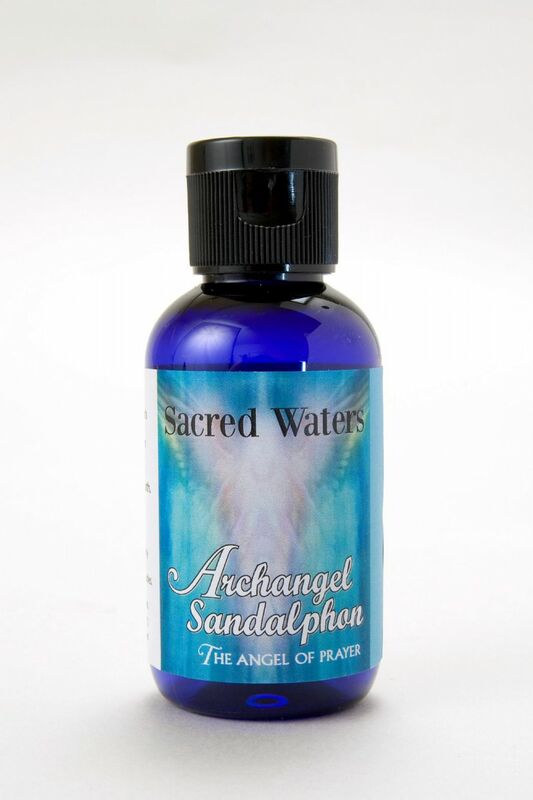 Embrace the enchanting energy of the Sacred Waters of Archangel Sandalphon, twin aspect of Metatron. Embrace the enchanting energy of the Sacred Waters of Archangel Sandalphon, twin aspect of Metatron. Sandalphon’s chief role is to carry our prayers to God so they can be answered. He assists with absent healing, anchoring Light on Earth, is Patron of Music & Heavenly Song, and Guardian of Earth. This spray can be used at times of personal prayer or quietude to enhance the connection between Heaven and Earth. A magical formula containing the aroma of Angelica Root, Geranium and Narcissus. Floral Water. Holy Water. Gem Essence of Turquoise.